Ah, New Years Resolutions. We make them. We break them. We feel guilty and grouchy when we forget about them. What’s worse? The traditional goal setting process doesn’t even set you up for success. According to Statistic Brain, only 9% of people are successful in achieving their resolutions. By January 12th, which Strava has coined as “Quitters’ Day’ most people are bored and overwhelmed by their goals. If hustling isn’t for you, this feel-good manifesting process will be. I ‘accidentally’ created this process back in 2015 from our cottage rental in the Austrian Alps. Born out of frustration and feeling ‘behind’, this process is simple. It leverages the wisdom that author, speaker and change-maker Danielle Laporte has enlightened us with when it comes to focusing on our feelings first and strategy second. And most importantly, it busts the myth that “new year’s resolutions don’t stick”. And if you follow this five step process, you can too! “What’s the key that flips the resolution switch?”, you ask? 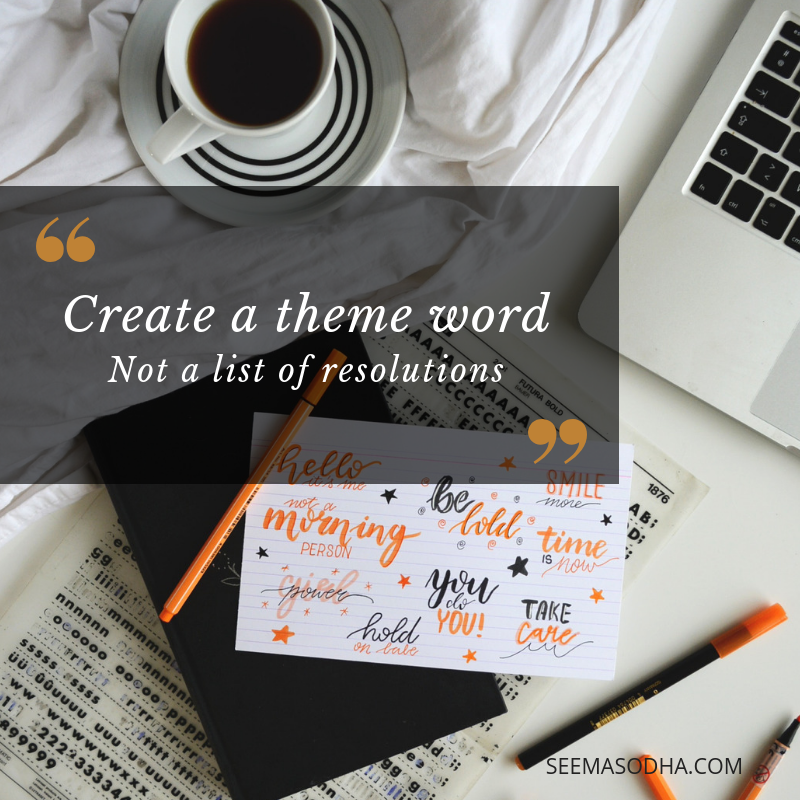 CREATE A THEME WORD, NOT A LIST OF RESOLUTIONS. Grab a sheet of paper and a black sharpie and brain dump everything you remember about last year. The good, the bad and the ugly. No filtering. No editing. No wondering if it’s worth writing it down. Just dump it like it’s hot and move on. Now grab your coloured sharpie and circle the best moments of last year as if you’re creating a highlight reel. Which memories bring a smile to your face? Which light you up as you re-read them? Which moments were filled with rich resonance and deep fulfillment? Look at what you’ve not yet circled. Grab the second sheet of paper and write down what you learned from at least 3 of those moments. What happened and what did it teach you? What feelings did these experiences evoke? Fear? Frustration? Lack of control? Unworthiness? What if anything, would you do differently if it happened again? What pattern if any, do you want to let go of now that you’ve seen the impact it had on your life? For example, if you feel like you held back on a project last year, is the lesson about following your intuition? Saying no? Or maybe it sparked a desire to invest in your personal development this year? Flow Tip:Set the timer for 15 minutes to keep you flowing. And remember, every hard rock experience has a beautiful gem hidden in it, a lesson to learn, if you’re willing to excavate it. Now grab your third piece of paper and brain dump what you want to experience this year. What do you want to invite in again, that you really enjoyed from last year? Connection with friends? Quiet moments in the mornings? Collaboration with your colleagues or biz buddies? Spaciousness in your schedule? What feelings do you want to invite into the new year that you missed last year? Laughter? Creativity? Fun? Capture everything that comes up here. This is where you truly get to be the co-creator of your life experiences and open the doors to what you want. 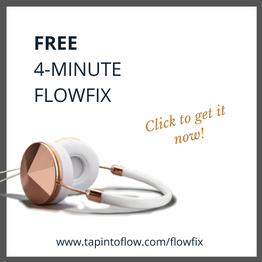 Flow tip: the more you focus on the feelings you want to experience (eg. alive and energetic) vs the specifics (eg. ‘lose 10 pounds’), the more you open yourself up to the infinite ways the universe can bring you the experiences you are wanting. THIS is the flipping of the traditional process I’ve been referring to! Word by word, read what you just wrote in step four, and check out how it makes you feel. How does your body react with each sentence? Which words make you sit taller? Shrink? Would a year filled with those feelings and experiences excite you…or does it stink like a ‘should’? If it doesn’t make you want to jump up and down, cross it off! Follow your gut instinct on this. There is no ‘right’ or ‘wrong’. Trust how it makes you feel and make your choice based on that. What word (or string of words) will create the theme for the coming year? Flow tip: For this step, I grabbed my journal and transferred the feelings from step four that felt could be my theme word(s). From there, I brainstormed and added a few other words that I found from a quick online search on ‘feelings’. Then, I sat back, closed my eyes and felt into which one would bring me the most fulfillment – not from my head, but from my heart. You’ve now got the anti-resolution process I’ve successfully used since 2015 which actually stick past January 12th! And now I want to hear from you. What do you think about this process? Does it feel easy? Do you like the idea of having a theme word? 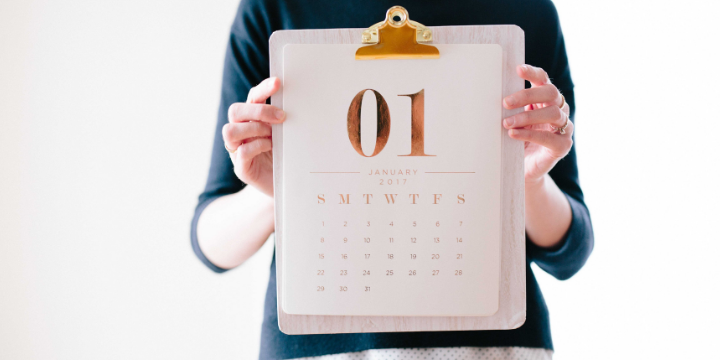 Or, do you have another process to create resolutions that stick? I’d love to hear about it in the comments! And if you have your theme word, I’d love to hear that too!